Problematic freezers can increase your energy bills, flood your kitchen floor, and compromise the preservation of stored food. Trust any Piscataway freezer repair service to our team. We offer local services and respond quickly when there are freezer problems. But our team can also do preventive repair work and stop problems from escalating and causing worst headaches. Whether you need routine or urgent assistance, count on the service of our pros at Appliance Repair Piscataway, New Jersey. 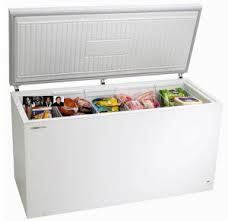 In order for your home freezer to function well, its components must be clean, well-maintained, and free of any problems. That’s why our residential freezer repair services are of the essence. When you trust the maintenance of your freezer to our pros, there will be no leaks or spoiled food. We can fix any problem, replace the damaged freezer parts, clean well the coils, check the compressor, make sure the unit’s door shuts well, and adjust the temperatures. But if you have problems today, trust their solution to our expert team. We do freezer repairs as fast as possible and cover the residential needs of everyone in the Piscataway area. One of our first tasks is to stop leaks and then find what caused them. Did the leak start with the freezer? Did it start with the ice maker or fridge? Our techs are experts in all types of fridges, freezers, and ice makers and can fix any kitchen appliance problem. Leaking ice makers are fixed too. Problematic fridges are urgently repaired. But if the problem is with the freezer, let us find out why. Sometimes, problems begin when the coils break or clog. Our techs check the extent of the problem and can replace parts which are damaged or not worth fixing. Call us if you are in need of freezer repair in Piscataway. Let us know if the gasket of the appliance is ruined or there is a strange noise coming from the unit. We address any local freezer problem at once.